Reusable Launch Vehicle – Technology Demonstrator (RLV-TD). Image courtesy of ISRO. Indian Space Research Organisation (ISRO) launched their heaviest launch vehicle to date, GSLV MK III, in June last year and are in preparation for launching the second and last of the development flights anytime this year. They also have very ambitious plans for their next generation vehicle – the Unified Launch Vehicle, or ULV for short. GSLV MK III is certainly very cost-effective at around US$60 million per launch for an expendable vehicle. While other space powers are barely able to reach that cost range for a reusable vehicle, it is a remarkable achievement. The vehicle is very similar to the Ariane 5 in terms of 2 strap-on solid boosters and having 2 liquid stages. But the comparison stops there. In terms of capacity, Ariane 5 lifts 10.8 tons to GTO whereas GSLV MK III can lift only 4 tons to GTO. What makes the Ariane 5 lift more to GTO is its cryogenic core stage which provides the major part of the propulsion. It is quite true that GSLV MK III has a lower payload ratio than vehicles in its class by other competitors. Such vehicles with large strap-on boosters are used by other space enterprises only for their heaviest payloads. Although the current payload capacity of the GSLV MK III can be increased to some extent by expanding current stages to higher propellant loads or by increasing the number of stages, ISRO does not seem to want to take that route. They would rather wait for the SCE-200 semi-cryogenic engine to be ready to increase the payload. Modern space giants like SpaceX are able to use simple configurations with no strap-on boosters and with only 2 stages on their Falcon 9 Full Thrust to launch payloads of up to 8 tons to GTO. On the other hand, ISRO will need at least 3 stages to launch 4 tons only because they do not have powerful rocket stages with heavily clustered engines like SpaceX. 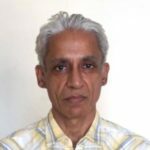 ISRO needs to develop powerful liquid core stages quickly. The semi-cryogenic core stage with 2000kN thrust is not available until 2021 and more such powerful clustered stages are needed to reach payloads above 8 tons to GTO. Based on current planning, this will take beyond 2021. The GSLV MK III has a few weak links that would need to be ironed out in order to have a large increase in payload capacity – its weak core stage with a low thrust and specific impulse and the over-bearing solid boosters which beyond a point will be more of a burden than a boon. ISRO has certainly recognized this and the current L110 core will be replaced by the semi-cryogenic SC200 stage by 2021. The SC200 stage is based on a powerful engine and will help increase the payload by 50% to 6 tons. If ISRO wants to increase the payload beyond that, they need to rapidly develop new stages with multiple clustered semi-cryogenic or cryogenic engines to replace the core stage. For instance, if they can develop a cryogenic core stage that can provide a thrust of 750kN with a specific impulse of 440 seconds on a propellant loading of 170 tons, then GSLV MK III, too, will be able to lift 10 tons and more to GTO, just like Ariane 5 which also has a cryogenic core and a similar architecture. This can be either as a single engine or as a 4-times clustering of the CE20 engine. But considering the complexities and the cost of clustering or developing new cryogenic engines, it would be better to opt for a clustering of existing semi-cryogenic engines. However since the specific impulse of the semi-cryogenic engines is more than 100 seconds lower than cryogenic engines, an equivalent semi-cryogenic stage will end up being a higher 5 times or 7 times clustering of semi-cryogenic engines with a very high propellant load. This results in the vehicles being heavier and the complexities could also increase. Here, it is very crucial to make the right choice. The agency seems to be planning for semi-cryogenic core stage rather than cryogenic core stage. This may be a prudent choice given the direction in which the other modern space enterprises are headed. The solid strap-on boosters are adding more weight to the vehicle and the thrust gained is not commensurate. They also have a very low specific impulse, thereby not providing enough delta-v for the vehicle. They should be replaced with new strap-on stages with multiple clustered semi-cryogenic engines which will be able to provide higher specific impulse and a lower vehicle mass. Until such clustered stages are developed, they have to work only with solid boosters for the initial boost. As they develop their semi-cryogenic engines, another area that needs to be worked on is the throttling of liquid engines. Although ISRO has attempted some stop restart of the PSLV fourth stage for launching satellites in different orbits, they ought to develop the new liquid engines to support deep throttling. Throttling in the lower stages helps in easing max Q pressures on the vehicle during the initial part of the launch. Throttling of the upper stages also helps to provide the vehicle with various orbit insertion capabilities. It also helps in planetary descent. 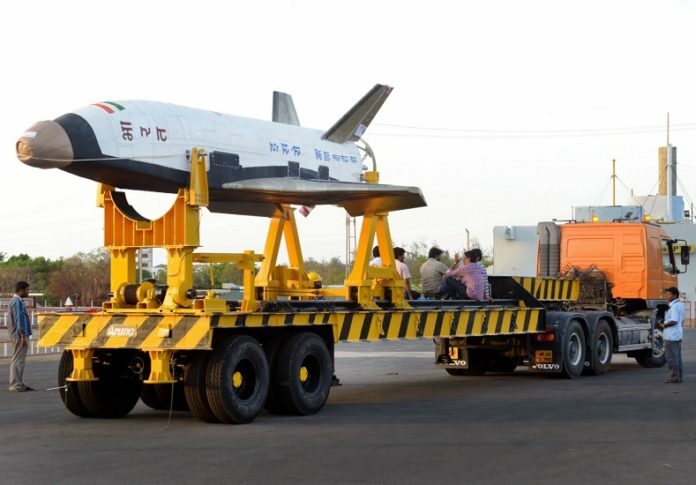 The next generation ULV is ISRO’s effort at unifying their launch vehicles. Currently they have 3 launch vehicles – PSLV, GSLV MK II and GSLV MK III for various payload classes. With the ULV, they plan to have a single vehicle with many different stages from which a few can be chosen to form a vehicle based on the requirements of the payload. This way, they will be able to cover the full spectrum of payload requirements with a single vehicle which can be put together as required. The SCE-200 semi-cryogenic engine and the CE-20 cryogenic engine are still expected to be the core engines based on which the stages of the ULV will be developed. Various ULV stages to cater for different thrusts will be developed based on multiple clustering of these engines. The agency has recognized the explosive need in the small satellite launch market space and is planning to partner with the private industry to service the low-end satellites (below 500kg) with a new vehicle called the Mini PSLV and the payloads that are currently launched by PSLV. This will not only increase the frequency of launches by these vehicles, it will also give the agency more time to focus on their other programs such as Reusable Launch Vehicle (RLV), air-breathing propulsion and reusability of stages of existing vehicles. Raman is an avid space enthusiast since taking time off from managing large high-security data centres for financial institutions. He has a Master's Degree in computer applications. a) The Semi Cryo SCE 200 ( Space X approach uses a cluster , Russia has had a 4X cluster design since 1990 ). There is a Technology Embargo by USA … , Russia will sell you an engine , but not the technology. also ” inspired ” by Russian design. India test stand for the SCE 200 is almost ready in Mahendragiri. The ISRO Cryo CE 100 ( 4 times more powerful than current ISRO Cryo Engine ) is in design stage at ISRO. Perhaps it will see a launch in 2022. India is 30 years behind USA ( 20 years lost as Congress Govt did not fund ISRO , 10 additional years lost as USA placed an Embargo on foreign technology sharing on Cryo Engines and Semi Cryo Engines .. This embargo continues today). The ISRO indigenous Cryo Engine is also based on Russian Designs. c) Space X got Cryo Engine technology from NASA for Free . Space X employs many ex NASA engineers.